An uninsured driver who killed his “best man” in a horror smash and then tried to pin the blame on him has been jailed. Reckless Muhammad Awaisi, 23, lost control of a high-performance Audi Quattro Q7 and ploughed into a wall after attempting to entice another driver to race him in snowy weather. The crash killed rear passenger Syed Zaeen Hassan, 22, who wasn’t wearing a seatbelt and died almost instantly after suffering “catastrophic head injuries”. A court heard the two men had been close friends since school and Mr Hassan was due to be “best man” at Awaisi’s wedding. Awaisi, who got his licence in 2016, and four friends from the Bristol area had travelled north for a weekend away in January last year. He had borrowed the Audi from a friend and sent him a photograph of a forged insurance document as proof that he was insured to drive the car. Prosecutor Jonathan Sharp said Awaisi seemed to have “a taste for driving high-performance machines” having admitted driving a Mercedes S-Class and a Porsche Cayenne in the past. After arriving in Bradford city centre, Awaisi tried to goad another driver to race him by pursuing a Volkswagen Golf R on January 21, 2018, at the end of the three-day road trip. During the incident, Awaisi ran a red light, reversed down the main road and made a dangerous turn into oncoming traffic. The driver of the Golf eventually pulled over into an industrial area and stopped, fearing a crash because of the snowy and slushy road conditions. Awaisi overtook the stationary VW Golf and flashed his hazard lights “as a victory signal” before CCTV captured the Audi doing 58mph on the 30mph shortly before the fatal crash. In the aftermath, Awaisi initially claimed that Mr Hassan had been driving the Audi and also tried to blame him for forging the insurance certificate. Awaisi, from Bristol, only pleaded guilty to causing death by dangerous driving and causing death while driving without insurance a week before his trial was due to take place in February. He was yesterday (Fri) jailed for four years and eight months at Bradford Crown Court. A court heard, during the weekend the group travelled to Stockport and Blackpool before they drove over to Bradford. Footage recorded on mobile phones by the group captured Awaisi driving at 120mph on a stretch of motorway as they headed north. The clips also recorded the Awaisi and his front seat passenger both filming with their phones while the car was moving. 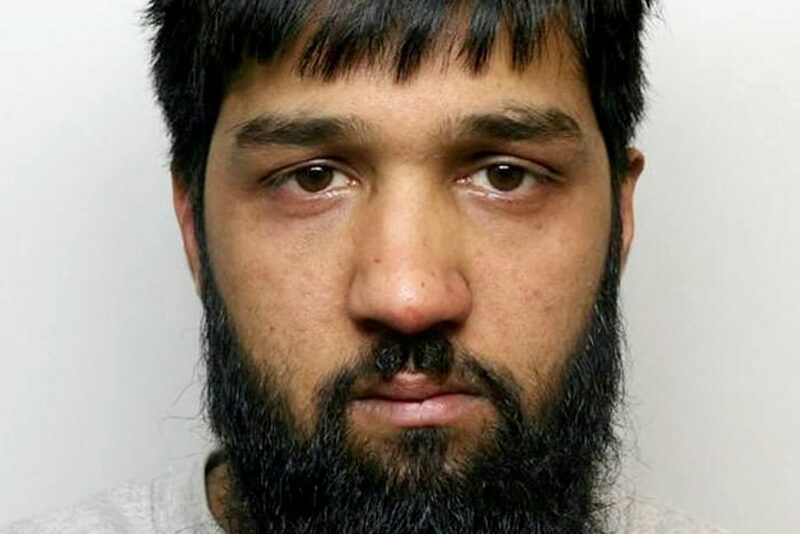 After arriving in Bradford city centre Awaisi tried to provoke a race with the driver of a sporty Volkswagen Golf R who feared that the men in the Audi might be planning to steal his vehicle. Describing the horror crash, Mr Sharp said: “The defendant saw the junction too late. “It appears that he had been concentrating instead in pursuing the Golf and the celebrating his “victory” over its driver. Mr Hassan was thrown from the car and died almost instantly after suffering horrific injuries. Mitigating, Alistair Webster QC said the death of his close friend had had a significant effect on his client’s mental health. Jailing him, Judge Neil Davey QC said: “You were knowingly and deliberately driving without insurance for the whole of the weekend including at the time that Syen Hassan was killed and that is an aggravating factor in causing death by dangerous driving. The judge said Awaisi simply did not care that weekend how many road traffic offences he committed and he also highlighted the lies told by the defendant and his attempts to blame the deceased. Awaisi was also banned from driving for a total of five years and 10 months and he must take a mandatory extended retest at the end of the disqualification period. Speaking after the hearing, Detective Constable Simon Marshall of West Yorkshire Police’s Major Collision Enquiry Team (MCET), said: “I am pleased the court process has come to an end today with the sentencing of Awaisi for his part in a truly appalling incident. “Throughout the investigation, he sought to evade justice and only at the last moment admitted the offences against him.